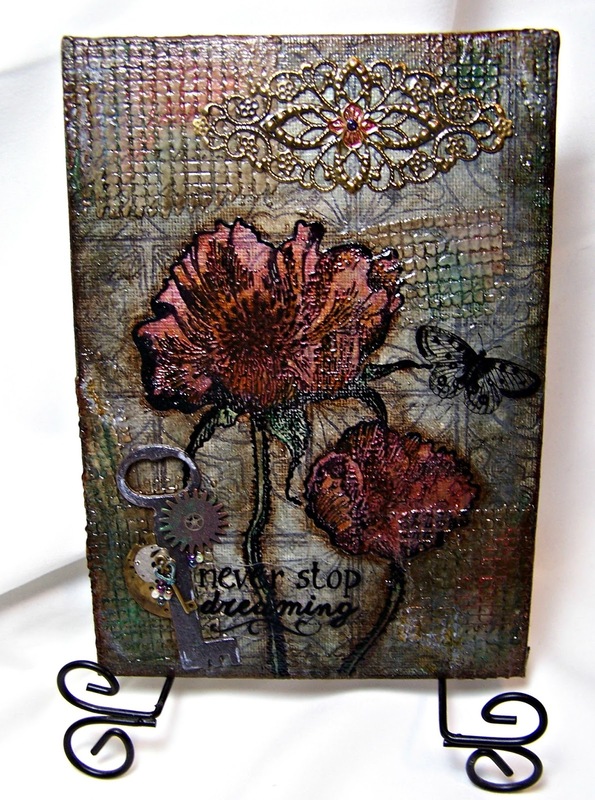 Just finished this Mixed Media canvas using the wonderful Poppy Meadow stamp set by Indigo Blue. Love these Poppy images, they really allowed for a lovely focal point for this canvas. I have a long list of supplies for this canvas and not much time tonight; will need to post materials used for this project in another post.